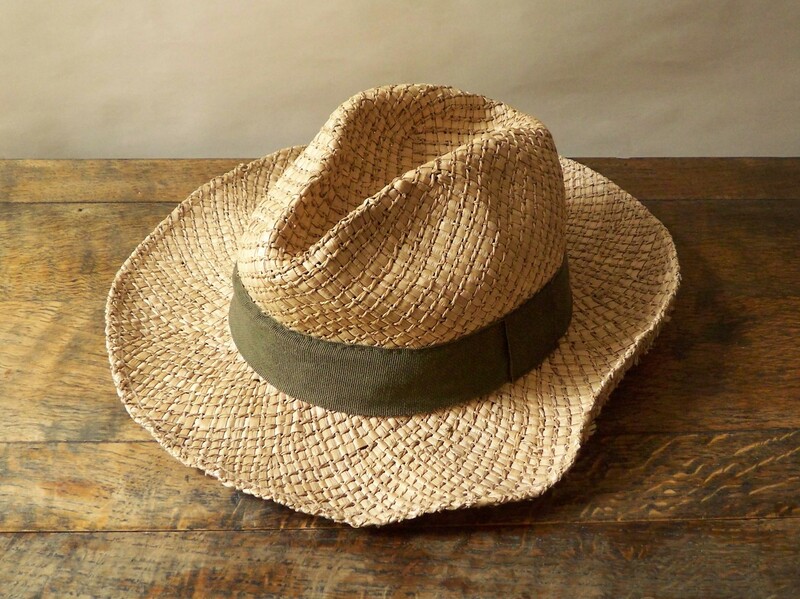 A fabulously worn and organic looking raffia fedora is new in the shop today. This piece has great character. I bought it from the UK. Perfect for summer days in the sun.